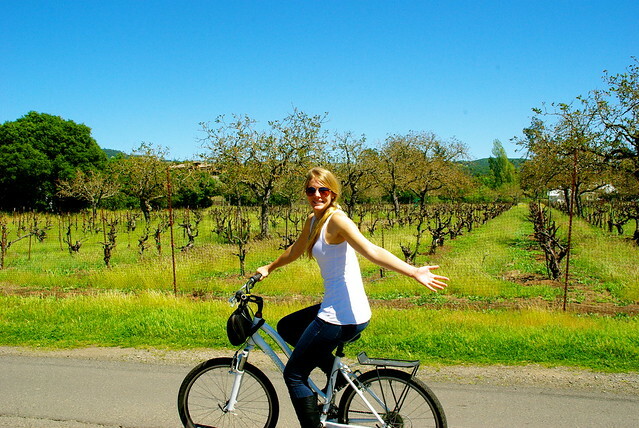 Last week we wrote about spoiling yourself in Sonoma and this week we are talking about a sweaty bike trip through the vineyards? For whatever reason Josh and I always end up on two wheels. The experience of flying by these vineyards in an air-conditioned car and pedaling a bike with the wind, smells and sights surrounding you are completely different. I don’t suggest taking your bike all over Sonoma unless you are a professional cyclist, let’s just say most of the drivers aren’t used to sharing the road with two wheels. 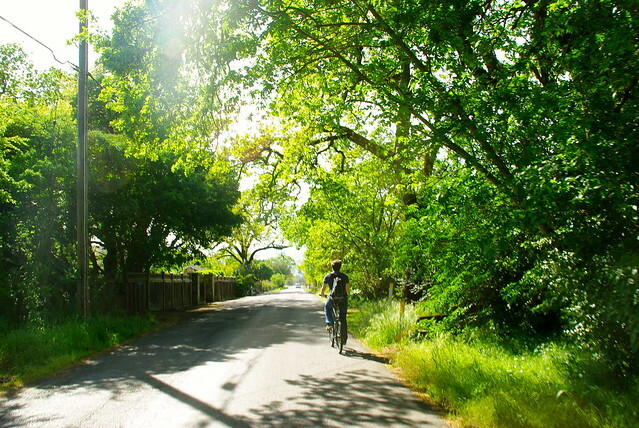 But save at least one afternoon to rent bikes and explore the unbelievably scenic paths through the back roads of Sonoma. Doug and Penny McKesson of Goodtime Touring keep bikes stored at the Cottage Inn and Spa, where we stayed in Sonoma, so of course Josh and I couldn’t turn down the temptation to take them for a ride! Luckily the bikes come with a map that takes you on an 8 mile trip on back roads (not busy) past 6 vineyards where you can stop and taste. Weren’t you sweating by the time you arrived at the vineyard? Yes and No. It’s not an intense bike ride, it’s great for beginners! We definitely showed up a bit more out of breath than the other guests, but Sonoma wine tasting is so laid back that we never felt underdressed or too disheveled to enjoy our wine tasting. Most of the other guests we met were taking a bike tour, or had already rented bikes, so it wasn’t abnormal. You don’t need to worry about tasting and driving and you can stop whenever you want to take all the pictures you please (which is my favorite part)! Bring a small backpack filled with water and snacks. With the wine and exercise you will want to make sure to continue to fuel your body between each winery. We brought a delicious baguette and cheese with plenty of water. Lock your bike. This is mostly for piece of mind. I’m sure those with hired limo drivers preferred their ride more than ours, but just to make sure always lock your bike before you go into wineries. Stay off Highway 12. 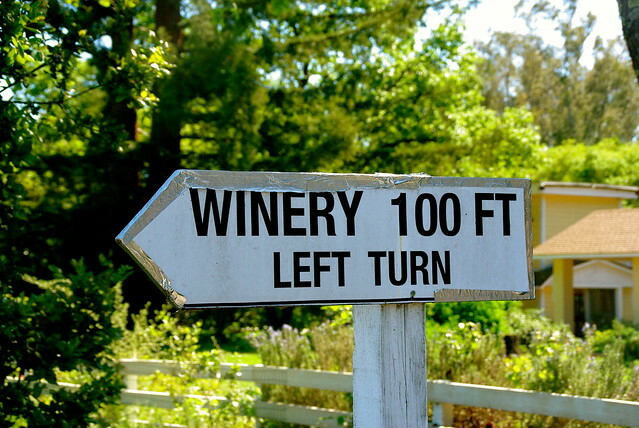 This is the main highway connecting most of the wineries and the cars speed by paying little attention to you on the side of the road. There are stretches where there is no sidewalk with little space for you to fit on the road. To stay safe find alternate routes. Check the weather. You don’t want to get stuck in the rain and you don’t want to find yourself on a bike during the hottest day of the week. Drive in the morning, bike in the afternoon. 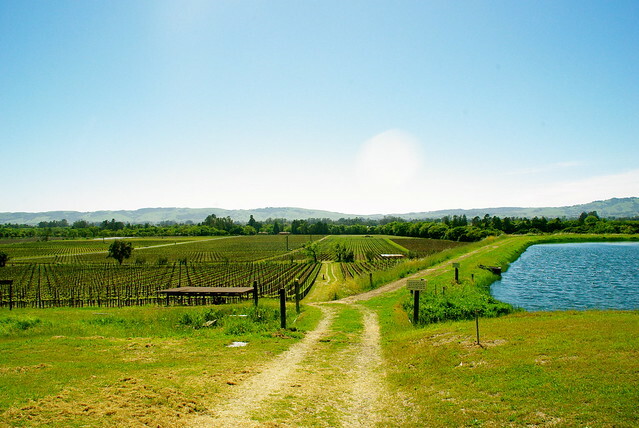 We spent the first few hours, 11 – 1, driving to some of the further away wineries and returned home after lunch to jump on the bikes for the 8 mile ride from 1 – 5. It’s a long day but definitely worth it! 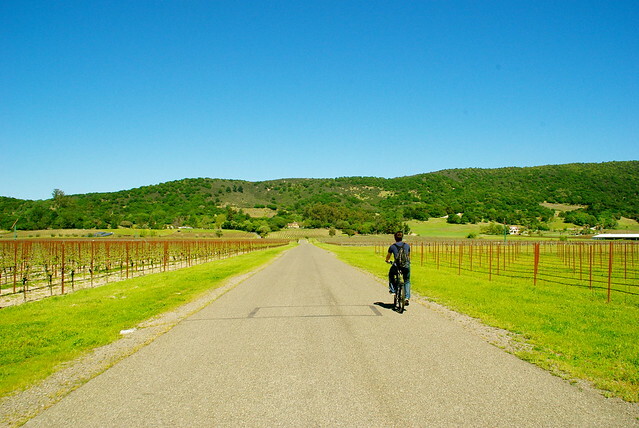 Would you bike your way through wine country? This looks like so much fun! We are road tripping across the country for 6 weeks this summer and I think I’ve found your blog at the perfect time! Where are you planning to stop on the roadtrip?! Karl, it’s easy to fall in love with it! We need to get back and spend more time than just a long weekend to explore! I love Sonoma. I’m a longtime runner but fairly new to bikes. As I convince my wife to start riding I’m really excited about the idea of doing this. Obviously being on a bike you need to remain sober just like when behind the wheel of a car. But I have to think riding a bike and sampling wine is a bit safer than tasting and driving. I’m curious exactly what part of Sonoma you were in. 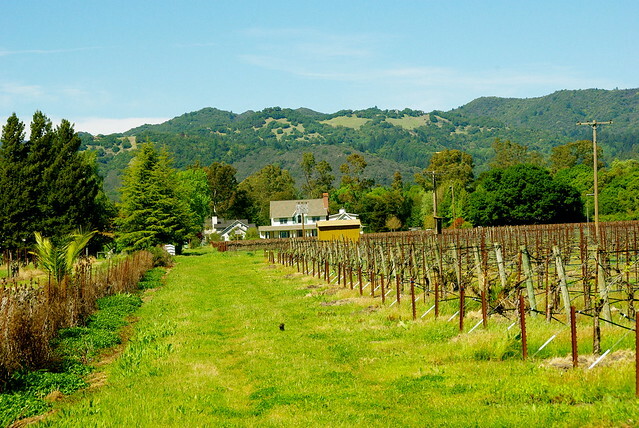 I published a story earlier this week on spending a day in Kenwood, just north of Sonoma town. 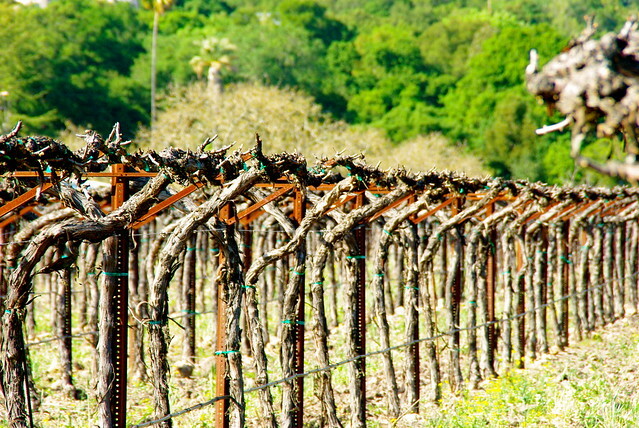 It’s such a beautiful area and the crowds are a fraction of what can be found in Napa. We stayed right off the square, and the bike route we took started from this area. The ride was pretty simple, especially if you are a big runner you and your wife will be fine! I also like to think biking and tasting is safer than driving, it’s really the drivers you have to be careful of when you are biking! I checked out your post, we went to many of the same vineyards you did! We’ve been talking about going back soon. I’m going to use your post to help speed up that process in discussion with her. I really do want to try a ride. I might end up messaging to find out what wineries you visited.